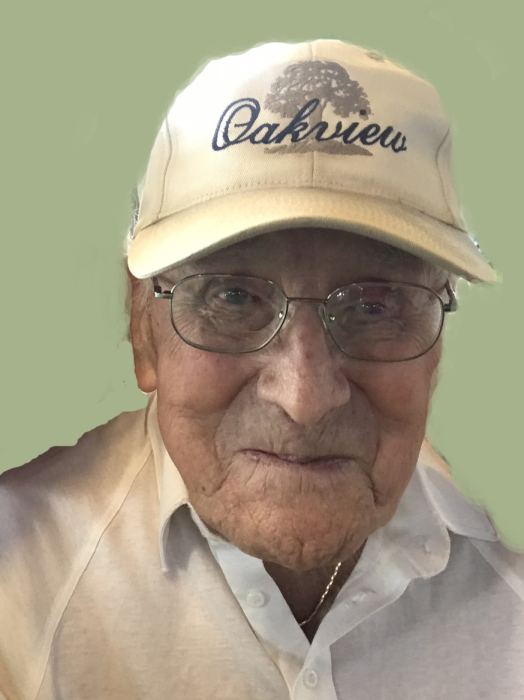 Ernest H. Crooks, 101, went home to be with the Lord on January 12, 2019. He was born September 2, 1917 in Akron, OH to the late Norris and Gladys Crooks. Ernest married his childhood sweetheart, Helen Irene (nee McCormick) in 1935 and volunteered with his wife feeding the hungry at the First United Church of Christ for a number of years. Ernest and Helen had attended Community Church of Portage Lakes. He had retired from B.F. Goodrich and he and his wife enjoyed traveling the world together. Ernest was preceded in death by his wife of 79 years, Helen; daughters, Sharon Carnes and Connie Reed; grandsons, Patrick and David Carnes; and brother, Norris Crooks. He is survived by his grandchildren, Amy (Tim) Carneal, Christopher Reed, and Cheryle (James) Buell; and 6 great-grandchildren. Friends may call at Bacher Funeral Home, 3250 Greenwich Rd., Norton, on Saturday, January 19, 2019 from 9 to 10 a.m. with a funeral service beginning at 10 a.m. Dr. John Thielenhaus officiating. Interment at Greenlawn Memorial Park. In lieu of flowers, donations may be made to Feed the Children, P.O. Box 36, Oklahoma City, OK 73101-0036, in memory of Ernest.